Today President Obama continues on day two what the White House is calling the “American Jobs Act Bus Tour” of North Carolina and Virginia. After failing in his efforts to convince Congress to pass his jobs bill in its entirety, the president has now shifted his focus to specific pieces of the bill, beginning with $35 billion to help states avoid laying-off teachers, firefighters and police officers. The president’s first event today will be in Jamestown, NC at Guilford Technical Community College Children’s Center. He’ll participate in a roundtable with teachers and students and highlight the potential benefits his jobs bill might have on that community. 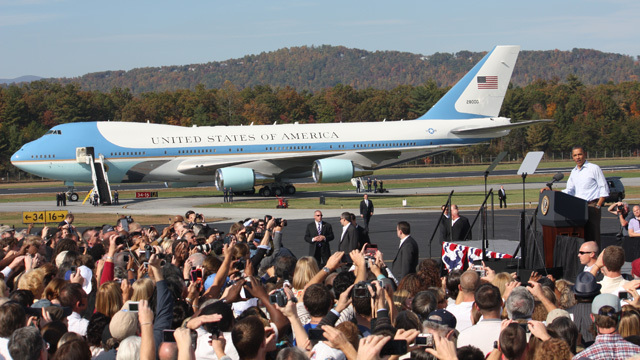 In the afternoon, the president will visit two high schools in Virginia. First he will tour a computer lab and watch a robotics demonstration before traveling to Greensville High School in Emporia, VA to deliver remarks on his jobs act.